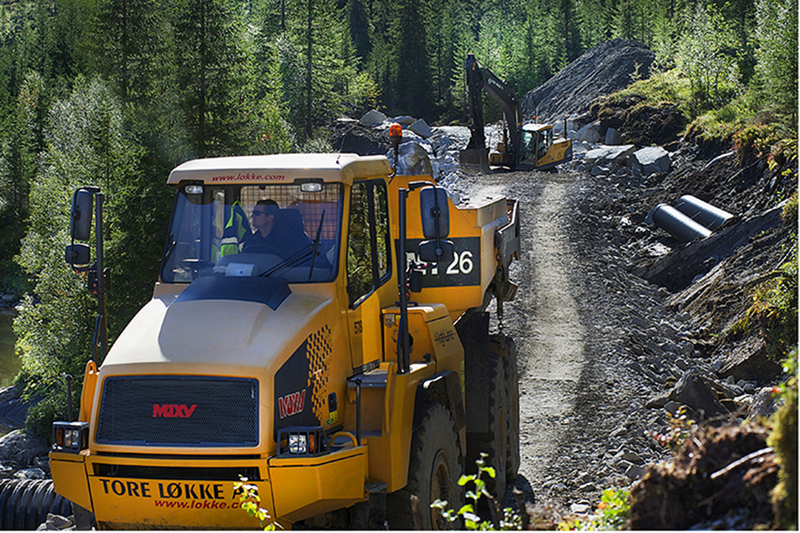 Øvre Forsland does not only serve hydropower to people in the region. Its purpose is also to bring attention to hydropower, the history around it and the benefits. Øvre Forsland is the most beautiful power plant in Norway and possibly the world. 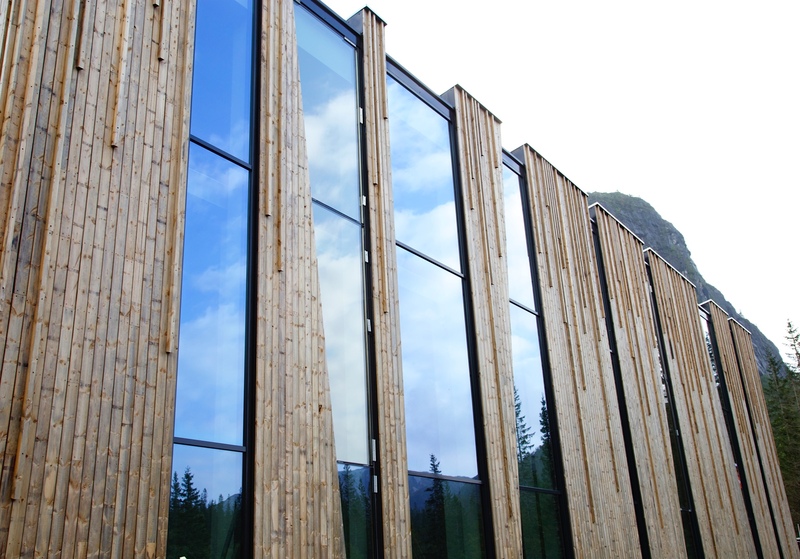 Thanks to its award-winning, stylish design, the building organically blends into surrounding landscapes and compliments the beauty of Norwegian nature. 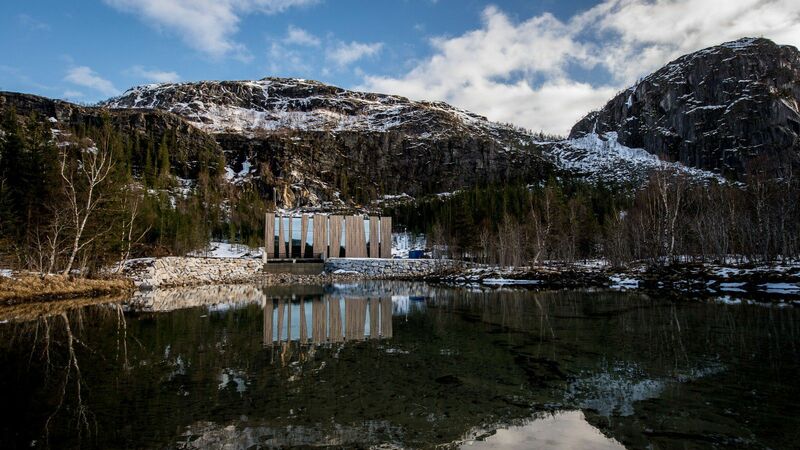 Located in the Helgeland district, northern Norway, the power station sits on a river on the outskirts of an alpine forest. The design of the plant was inspired by magnificent northern landscapes and is similar to the tall, thin trees the plant sits in front of. 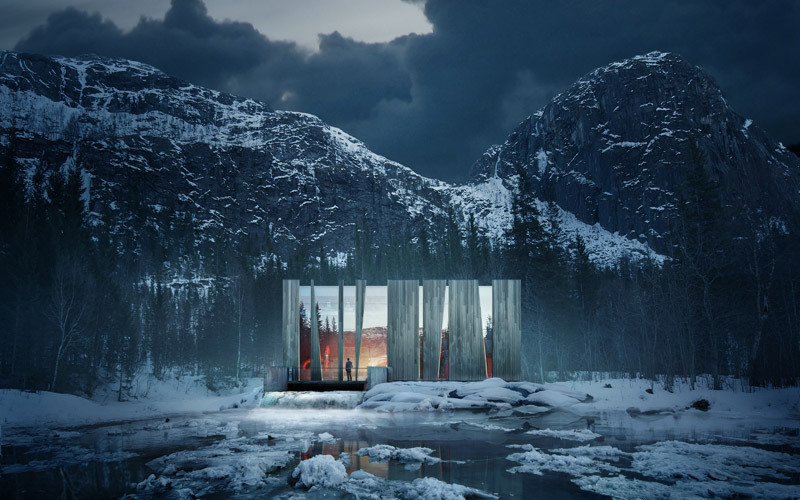 The Øvre Forsland power plant has already gained plenty of local, national, and international recognition because of its spectacular, innovative design. 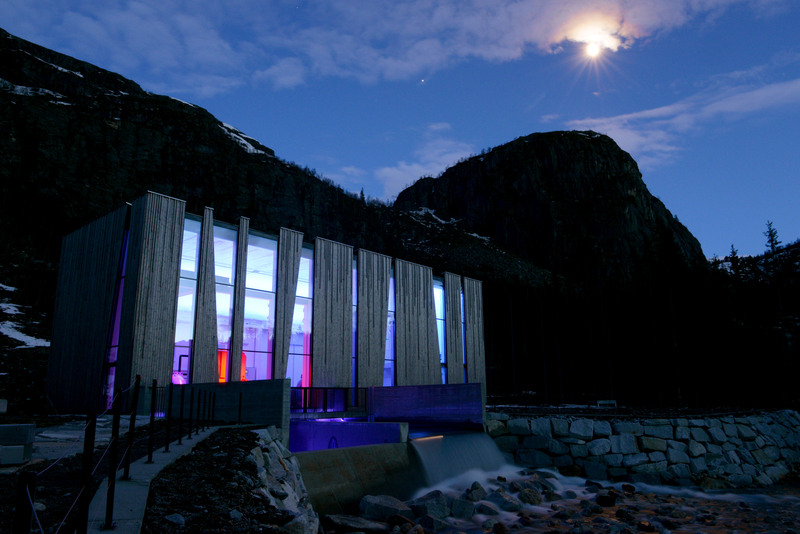 While providing 1,700 Norwegian households with power, it celebrates the beauty of environmental friendliness and renewable energy. 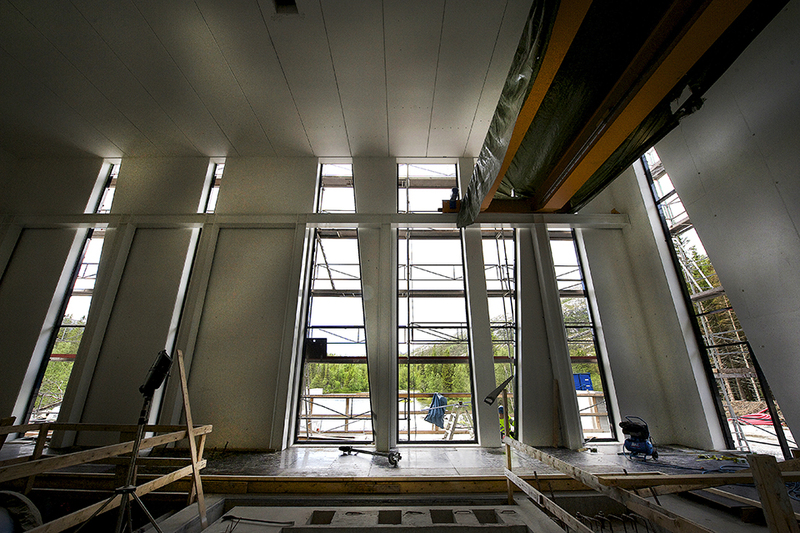 The owners of the power plant emphasize that its design works in harmony with the surrounding environment. 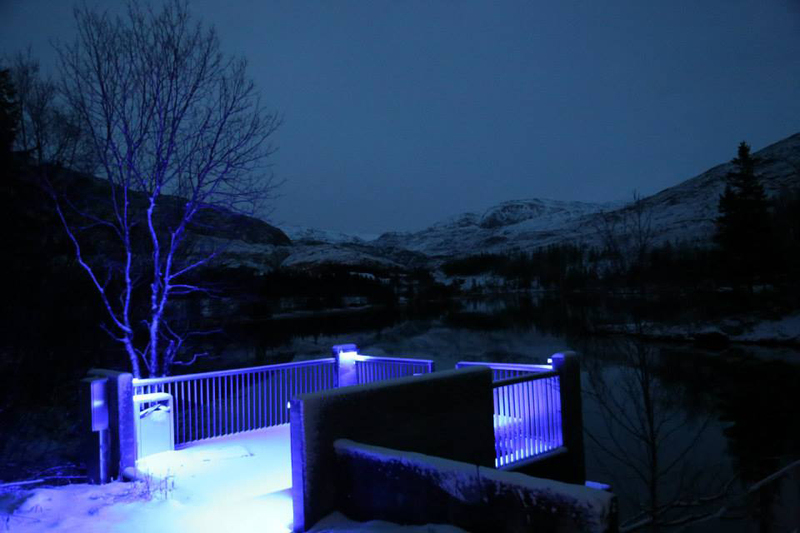 It is the power of Norwegian nature that brings energy to thousands of homes and breathtaking beauty to our world. Humanity should protect this nature by producing and consuming renewable energy. The power plant production benefits from a 157-meter drop in the Forsland River, and uses two Francis water turbines to turn the natural flow of the river into electricity for the surrounding community. Such technology produces about 30 gigawatt-hours (GWh) of energy, and with the flexibility of its storage system it can meet surges in demand. 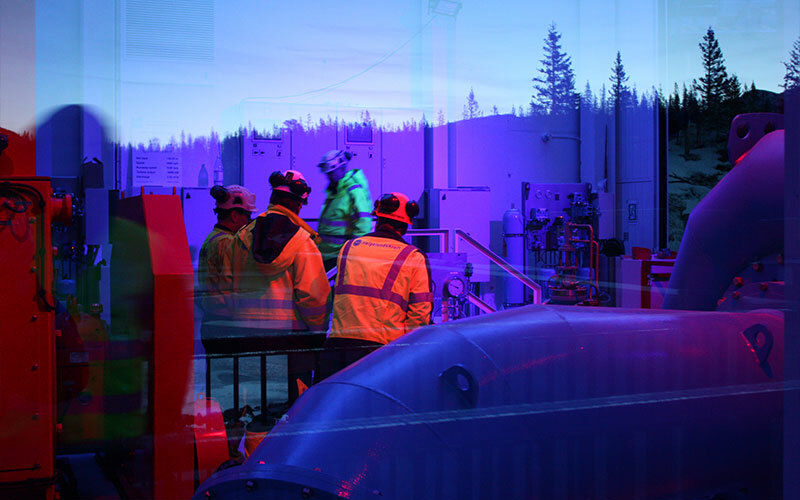 Øvre Forsland not only supplies energy to the region but also takes care that the supply is constant and stable. 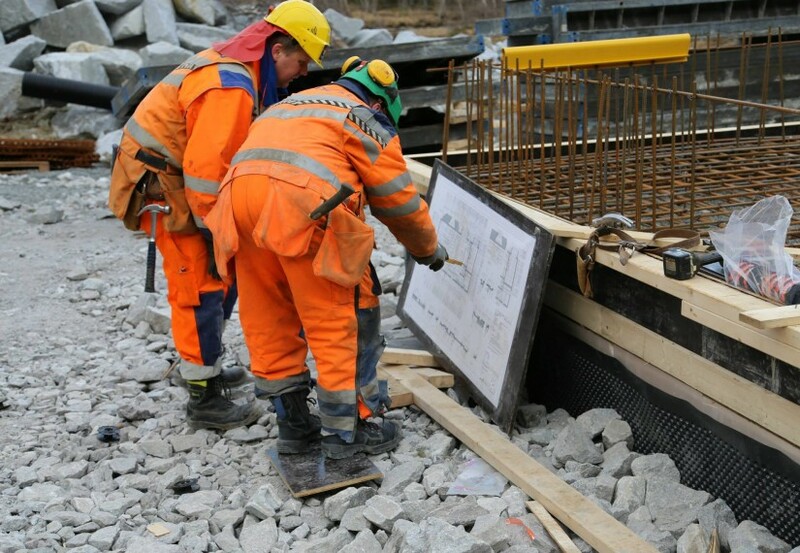 When initiating the power plant construction in 2013, the owner of the plant, Hegeland Kraft, had a vision to become an active value creator for the region. 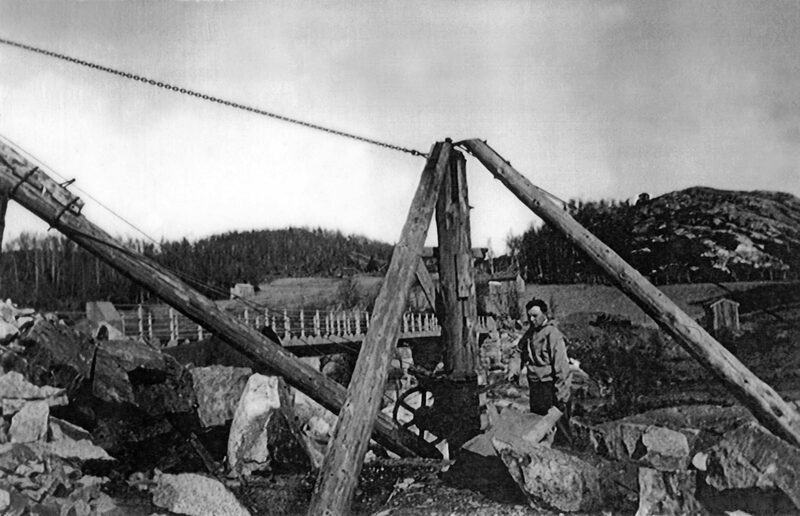 Energy production has been a source of light, heat and, consequently, development of local municipalities in the upper north of Norway since the beginning of 19th century. 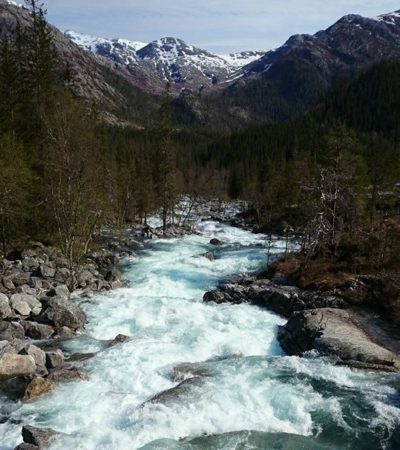 The owners recognize that the river water that they use for energy production belongs to the community and by building the power plant in Leirfjord in Norland, they take responsibility to properly utilize the natural resources and create a lasting value for local communities. 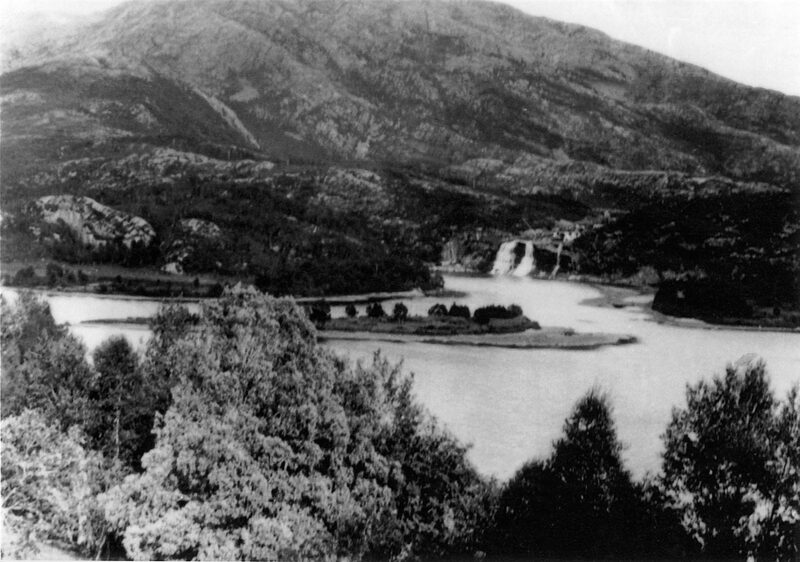 The unique history of Øvre Forsland closely intertwines with the development of the Helgeland region. The first plan for development of the Forsland River goes back to 1913. 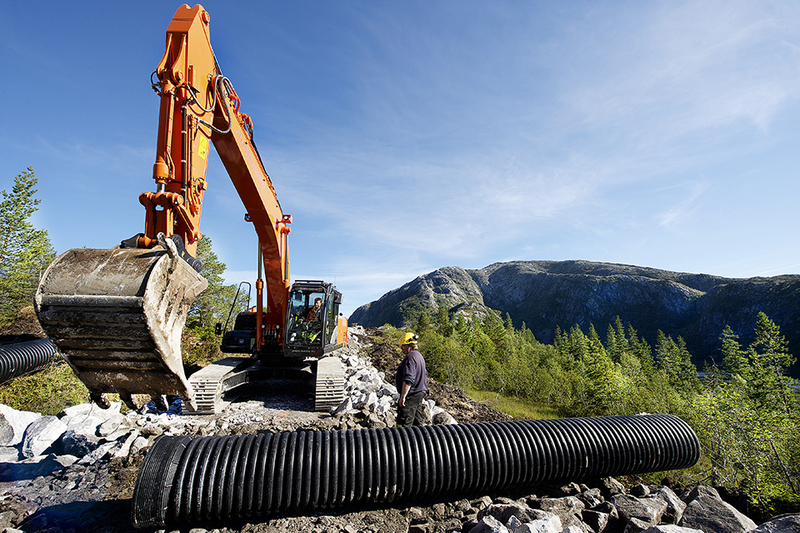 Martin Kristoffersen Fisknæs, a newly appointed mayor of Stamnes Herred County acquired a significant share of the rights for the Forsland watercourse, along with five business partners. It is believed that already in that time as mayor he was aware of a future power needs. A blueprint for the development of a new power plant was first presented to Stamnes parish as early as 1916. However, the construction of the plant was continuously delayed and the actual process did not start until the early 1930s. 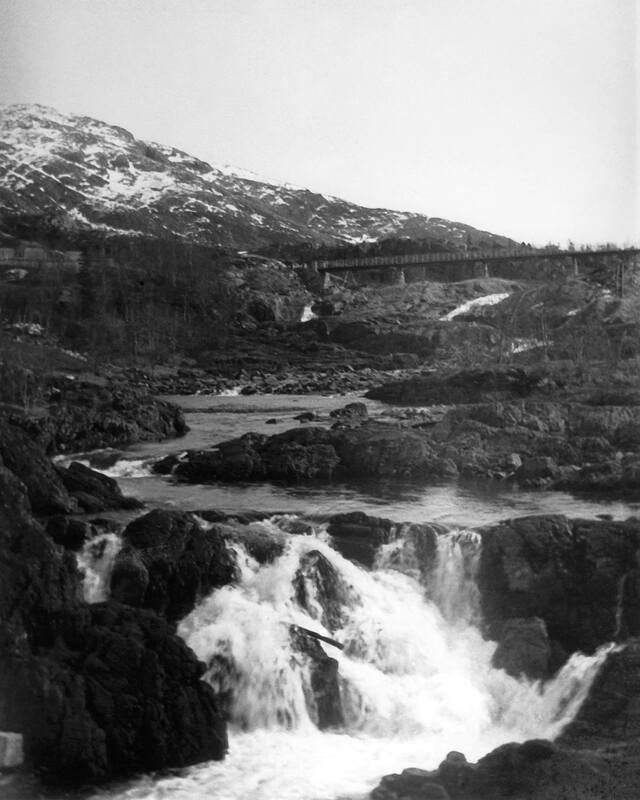 The power plant, called Sjøfossen, was completed by 1939 and supplied two cities in the region, Leirfjord and Sandnessjøen, with electricity until World War II. During the war, Germans needed more electricity in the wintertime and therefore wanted to develop and manage the water resources more efficiently by building a dam. 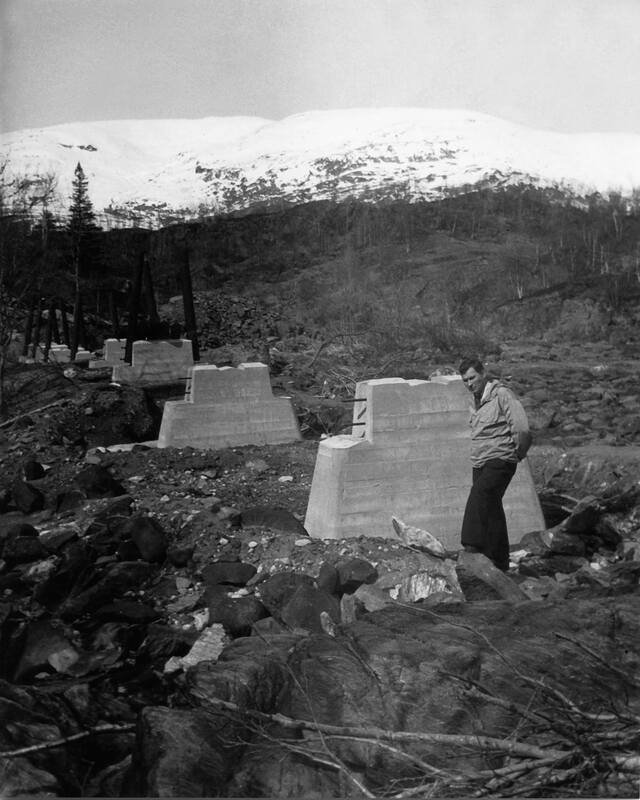 The development of reservoir capacity during the war facilitated the construction of another power plant in the watercourse, Storfossen, and the facility was completed in 1949. In the 1950s, Midt-Helgeland (later Helgeland Kraft) power organization acquired Sandnessjøen, the owner of the two power plants on the Forsland river. 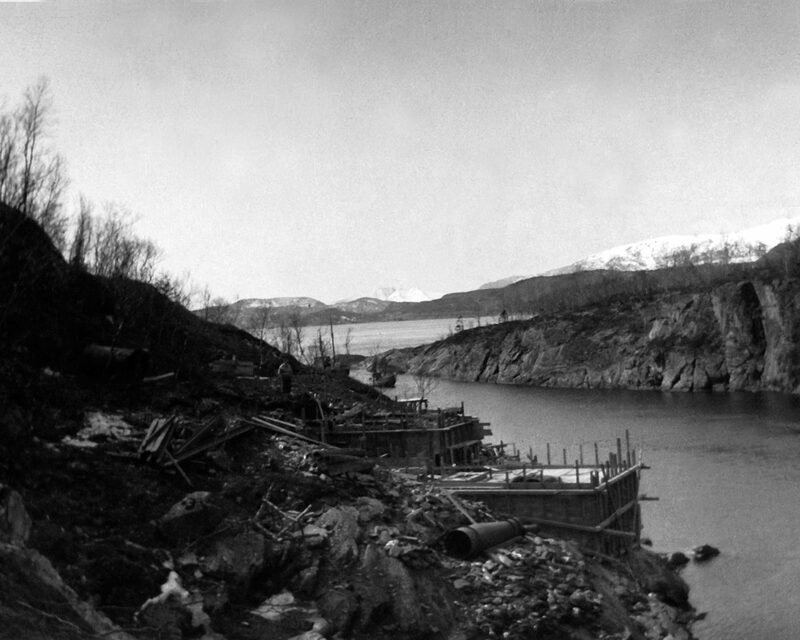 A decade later, production in Sjøfossen power plant stopped and was later demolished, while the Storfossen power plant remained in operation until the late 1990s. In the early 1990s, possibilities to increase the electricity production were explored and the plan for the construction of two power plants under the names Forsland and Øvre Forsland were examined. 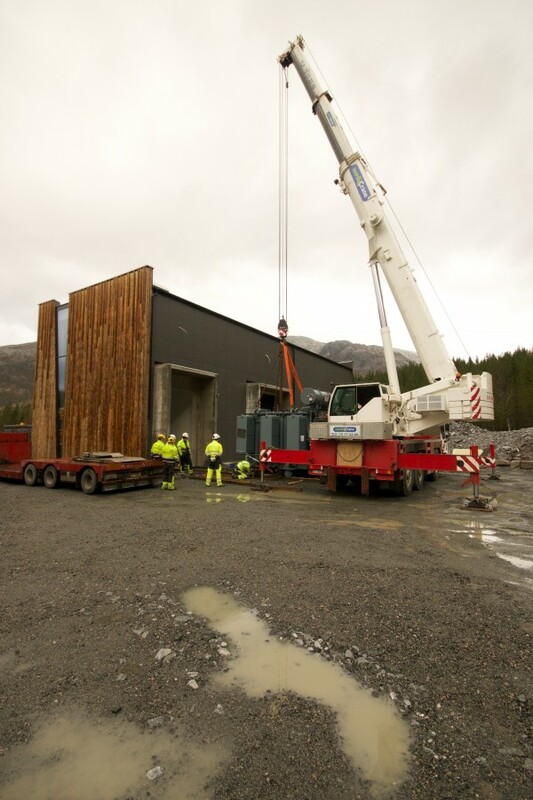 However, only Forsland power plant was approved for further development as the construction of the other plant would lead to negative consequences on reindeer herding. The Forsland power plant was ready to operate in 2003. In 2005, all parties agreed on a new plan for the Øvre Forsland power plant, which would minimize the impact it had on reindeer herding. The formal process to develop and build the plant was finalized in 2012. The modern power plant was ready to operate in 2015, more than 100 years after Martin Kristoffersen Fisknæs first presented his idea. 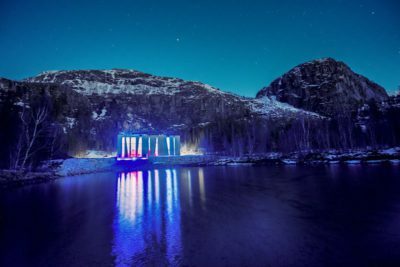 The old Storfossen power plant was transformed into an idyllic picnic area a couple of years ago, and currently people from all over the country are eager to visit this magnificent area. 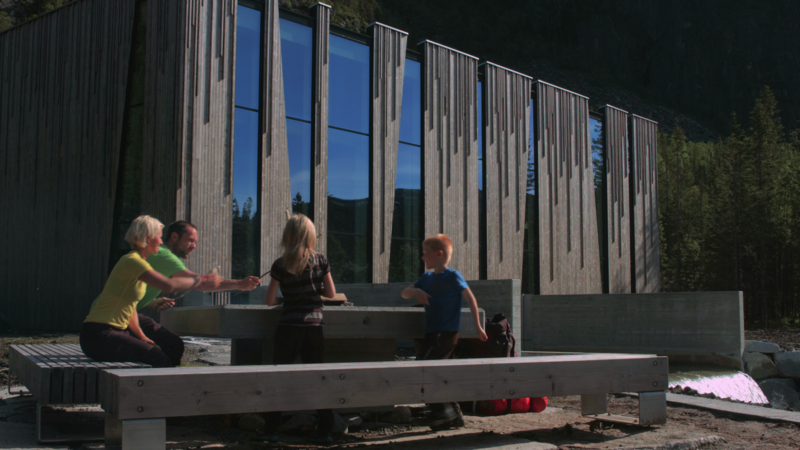 Øvre Forsland organically fits into the local landscape and has become a tourist attraction in the region. 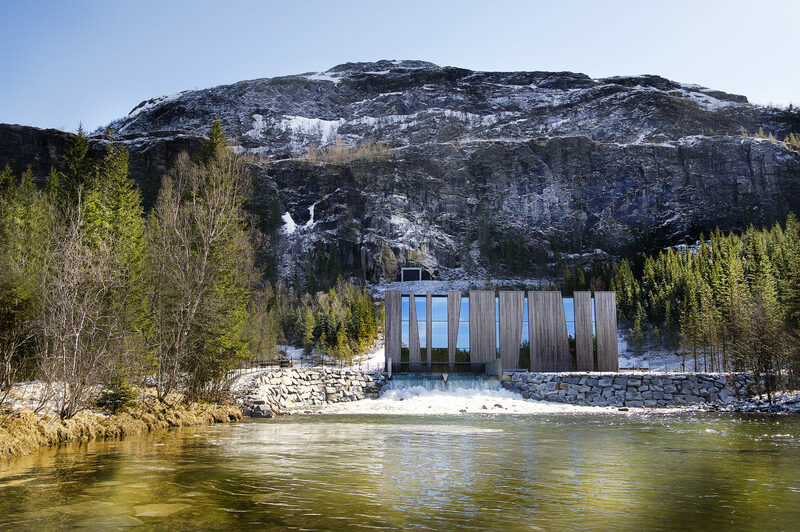 This power plant shows that power production can be in harmony with nature. 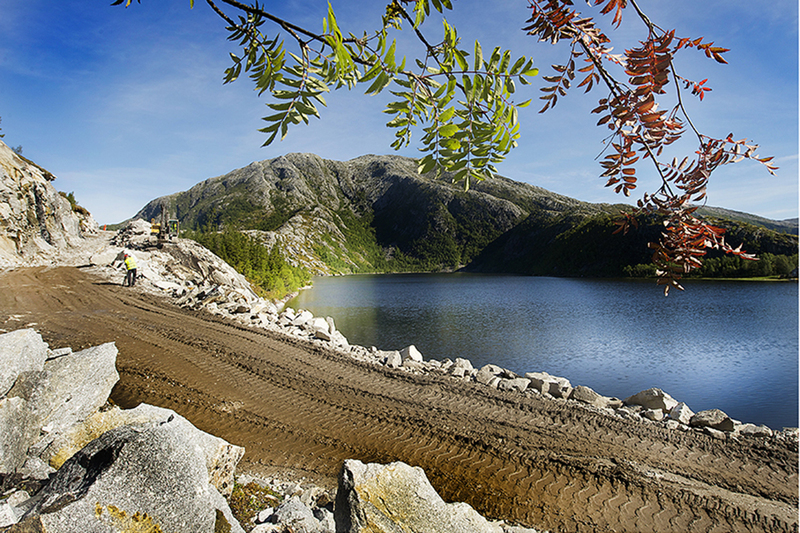 “Hegeland district in the Northern Norway has a fantastic environment. 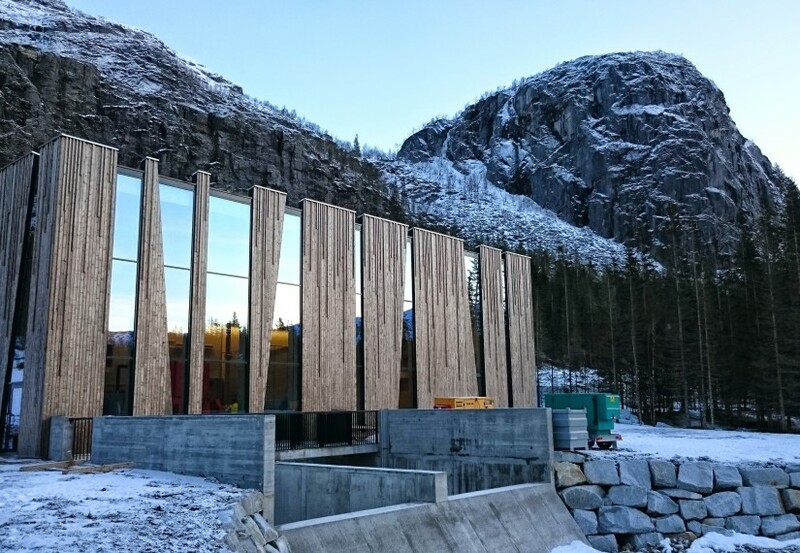 This region is known for its spectacular nature, so we thought the building should try to live up to the surroundings.” says Torkil Nersund, production manager of Helgeland Kraft. 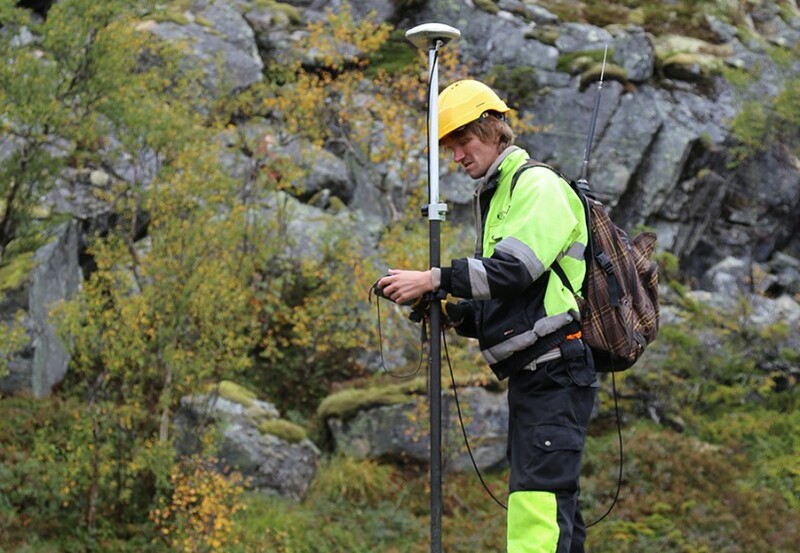 Øvre Forsland does not only serve hydropower to people in the region, its purpose is also to bring attention to hydropower, the history behind it, and the benefits it has on sustainability. 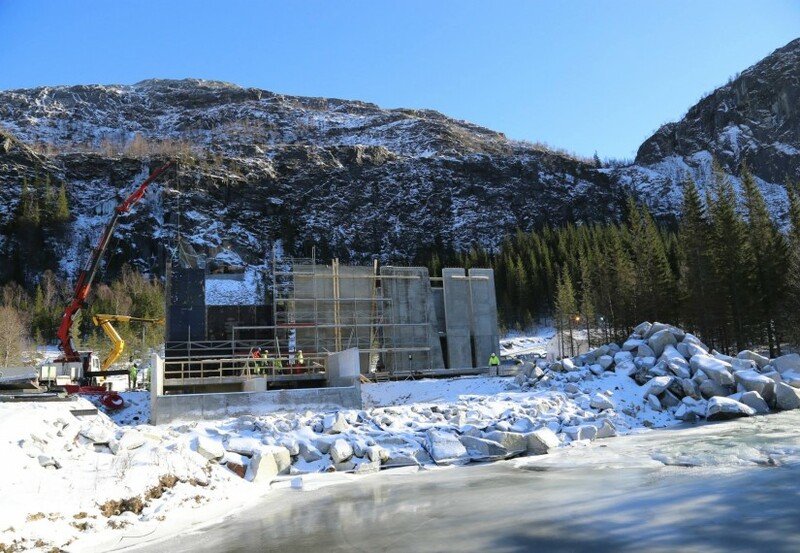 The plant’s owners are deeply convinced that hydropower will play a major role in renewable societies in the future and expect that the unique and modern design of Øvre Forsland will communicate this idea to the whole world. The aim of the unique power plant design is to remind the local communities of their benefits from energy resources in the area and their responsibility to preserve the environment and nature in their homeland. Secondly, they also strive to educate foreign tourists about the story of hydropower in Norway and how it can work in harmony with nature. The emphasis on this harmony and on renewability in general, can be seen in the fabric of Øvre Forsland itself. 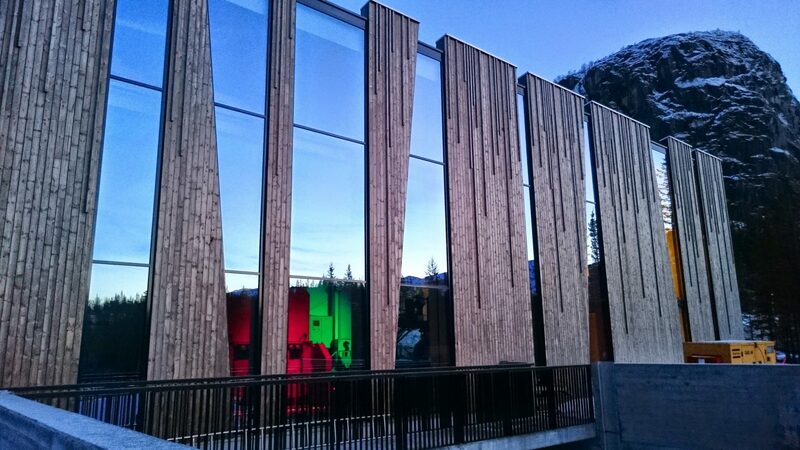 As a material for the plant architects used sustainable softwood that has been treated with a bio-based liquid to make it more like hardwood. By adding architectural and artistic value to the power plant’s design, they go beyond the conventional process of energy production. 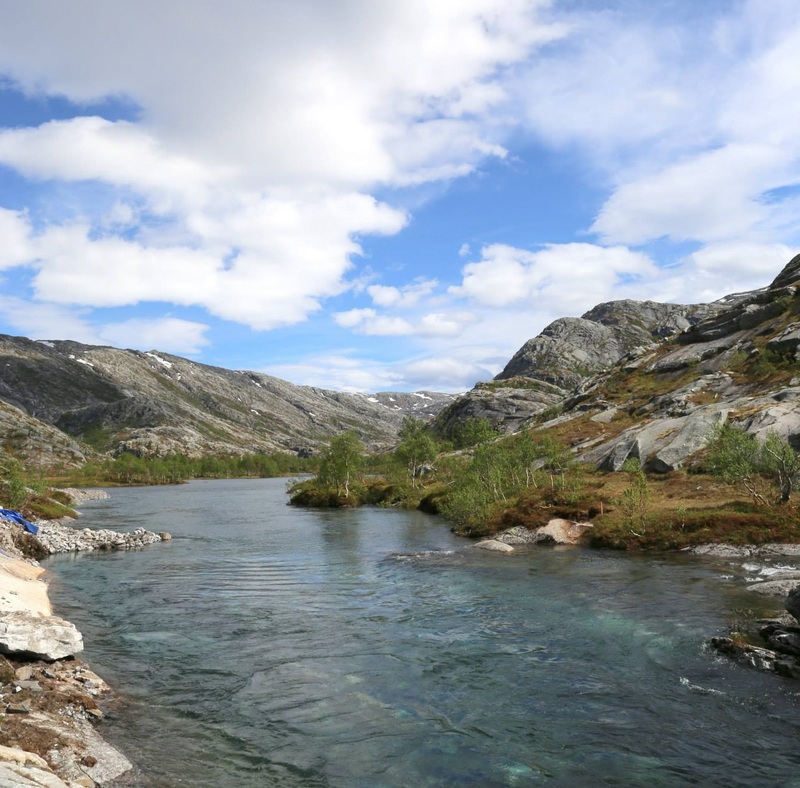 They also bring recognition to the region and attract more and more tourists to Helgeland, who come to the area for the hiking and attractive scenery. In such a way, they continue the tradition of sustainable development in the region that originates from clean, green energy.